Are diatoms the key to Earth's biggest slides? 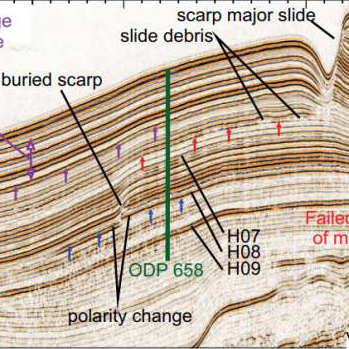 Morelia Urlaub, a marine geoscientist at the Geomar Helmholtz Center for Ocean Research in Kiel, Germany, voices the obvious question: "How can you fail on a slope that is so flat?" Now, Urlaub and colleagues may have discovered the answer. The smoking—or in this case, oozing—gun is a layer of siliceous microfossils called diatoms. 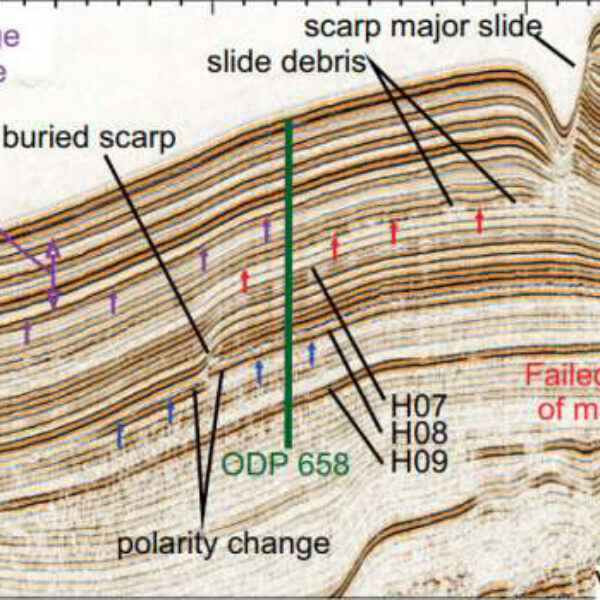 The study, published online ahead of print for the Geological Society of America's journal Geology, is the first to identify the weak layer responsible for a submarine mega-slide. Although the nature of these critical weak layers has been highly debated, studying them has been nearly impossible because they are typically destroyed along with the slides. What's more, each diatom layer was topped by a layer of clay-rich sediment. That clay is apparently key. "Diatom layers are very compressible and water rich," Urlaub says. As pressure builds, she explains, water would be squeezed from the diatom layer into the clay. Ultimately the clay or the interface between the clay and diatoms fails, sending the sediments above sliding. Although such slides don't occur very often, says Urlaub, their size makes them quite significant. "One-fifth of all tsunamis may be caused by undersea mega-slides," she says. If diatom layers are a major factor, then understanding where paleoclimate conditions may have favored diatom growth might help reveal potential mega-slide sites.